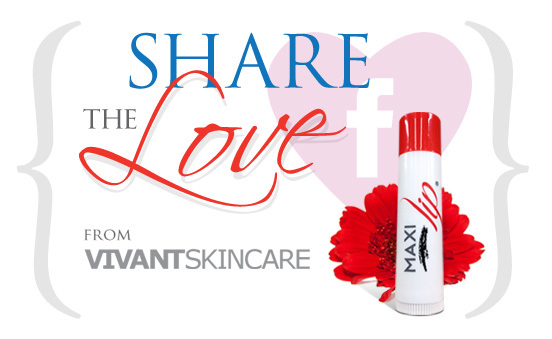 Since Valentines Day is a day for spreading the love, the lovely people at Vivant Skincare are giving away fifty of their new Maxilip Lip Plumpers. All you need to do to be in with a chance of winning one is ‘Like’ the Vivant Skincare Facebook page, and share the picture they upload on the 14th. Couldn’t be simpler! Each lip plumper is worth $19.95 and promises fuller, firmer, and better defined lips. So what are you waiting for – get liking!